In collaboration with Word Travels and Australian Poetry Slam, Clean Up Australia is hosting a poetry competition for your High School class or Youth Group (Scouts, Girl Guides, Faith based groups) which attracts membership between the ages of 12-18. We would like you to create a poem based around the theme for this year’s Clean Up Australia Campaign, ‘Change starts with You’. We want to showcase the literary abilities of 12-18 year olds, whilst promoting awareness for how each person can make a positive impact on the environment. The competition will be class or group based. This means that we can only have one entry per class/youth group. We suggest that you develop your poem as a team, whether there are 5 of you or 30! ‘What will we win? !’ I hear you cry. Well, we are giving the opportunity for two poems to win the competition. We will have a 'Champion', chosen by a judging panel from Clean Up Australia and Word Travels, along with a 'People's Choice', who will win decided by a public vote on the Australian Poetry Slam Facebook Page. It may be the case that the same poem wins both titles. It’s Clean Up Australia’s 30th Anniversary in 2020 (time flies when you’re having fun), and we would like to use the winning poem for the campaign, by sharing it through various media channels, along with the potential for the poem to make it onto some of our merchandise. The winning class or youth group will also be invited to read their poem at the Australian Poetry Slam Youth - Sydney Final. We do appreciate that this may be quite a way for some of you to travel, so, if you live far from Sydney we will be able to showcase your poem through a video link at this prestigious literature event. Your class or Youth Group will also get a poetry workshop courtesy of Word Travels and the Australian Poetry Slam. There are workshop coordinators in every state, so available to all areas. You will receive $350 towards the travel costs of the coordinator (any thing more than $350 will have to be covered by the School or Youth Group). These prizes will be given to the 'Champion' over the compeition. The 'People's Choice' will be recognised as the publics favourite poem, with the video being shared over social media. -Entries will be submitted by high school classes or youth groups (12-18 years), NOT individual students. This would be done by the group or class coordinator. Only ONE entry per class/youth group. -Entries will be submitted via video upload. 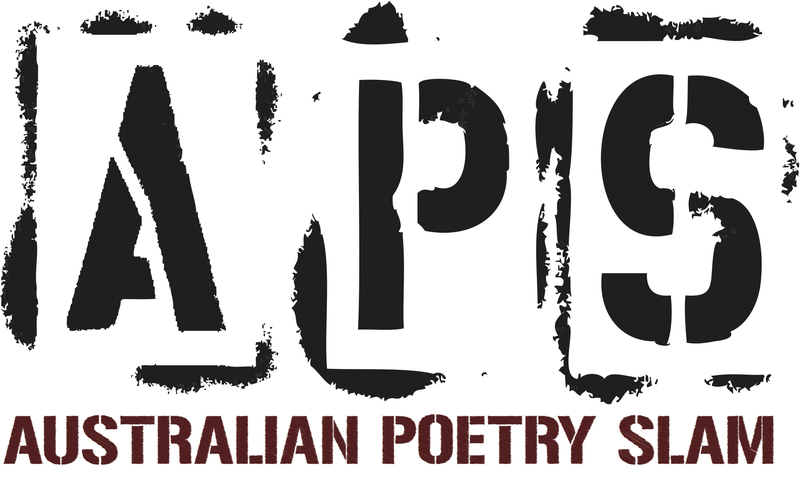 Classes/youth groups should record a performance of their poem [max 2 mins] and upload to youtube, sending the URL to the Australian Poetry Slam Facebook page via Woobox. The poem can be read by all students, one student or a couple of representatives. Students or Group members need to have their parent/guardian’s permission to appear in the video, as shortlisted poems will be shown on the Clean Up Australia, Australian Poetry Slam and Word Travels websites and social media channels. Name of Youth Group or High School (Individual Classes need to add their class name too. For example ‘Sydney Boys High- Class ABC’). Name of Coordinator (The name of the adult associated with the class/group). Video upload – Video should be named with the site number and School or Class/Youth Group name e.g. ‘#12345 Sydney Boys High- Class ABC’. Video should be no longer than 2 minutes. -The entries will be shortlisted into 8 poems by Word Travels poetry experts, and will be put to a public vote via social media and website on Friday 11 April 2019. -Voting for the winning poem will close on Friday 19 April with a combination of public votes and judges from World Travels, Clean Up Australia, and the 2018 Australian Poetry Slam Champion, Melanie Mununggurr-Williams, with the winning poem being notified on that day. -Please note: All participants involved with the video must have parent/gaurdian permission as it could potentially be shared if shortlisted. For hints and tips on how to write a good poem, click HERE.